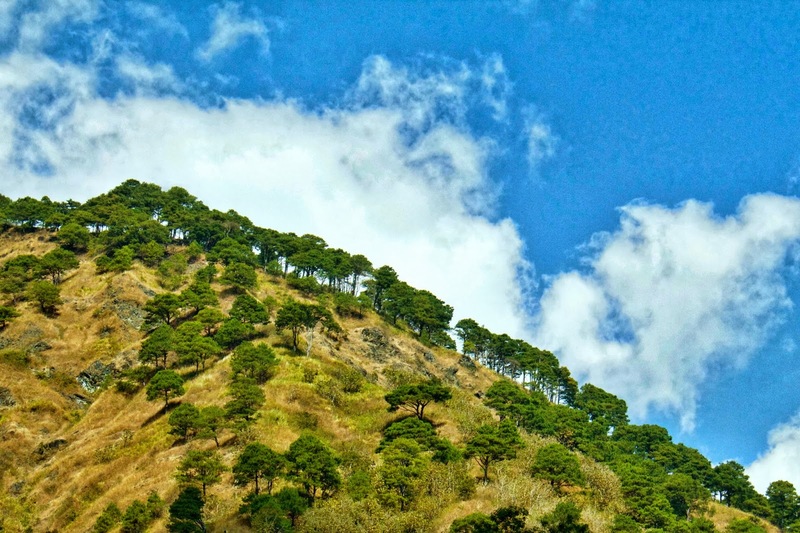 When you travel to Baguio from Manila ( or any city or town from the South or Central Luzon ) - you have two choices of roads to take to the City of Pines. One of the roads is Marcos Highway ( but in maps you may actually see this as the Aspiras-Palispis Hightway ). 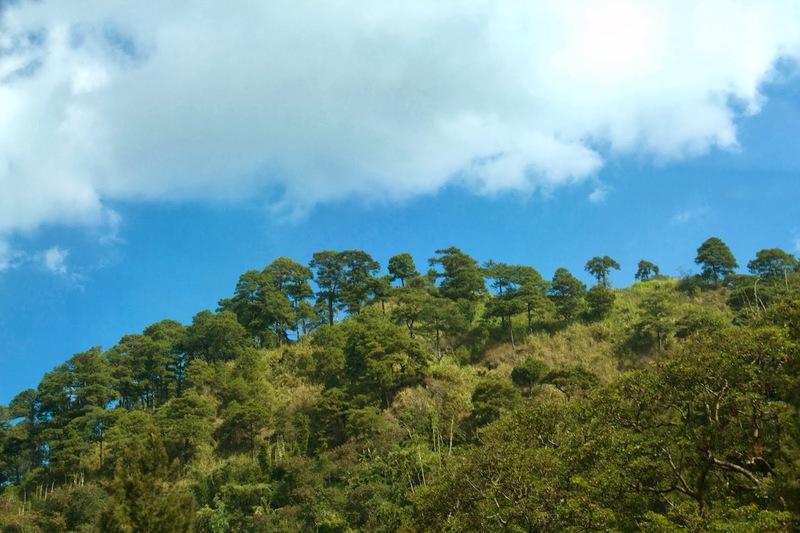 The other is Kennon Road. 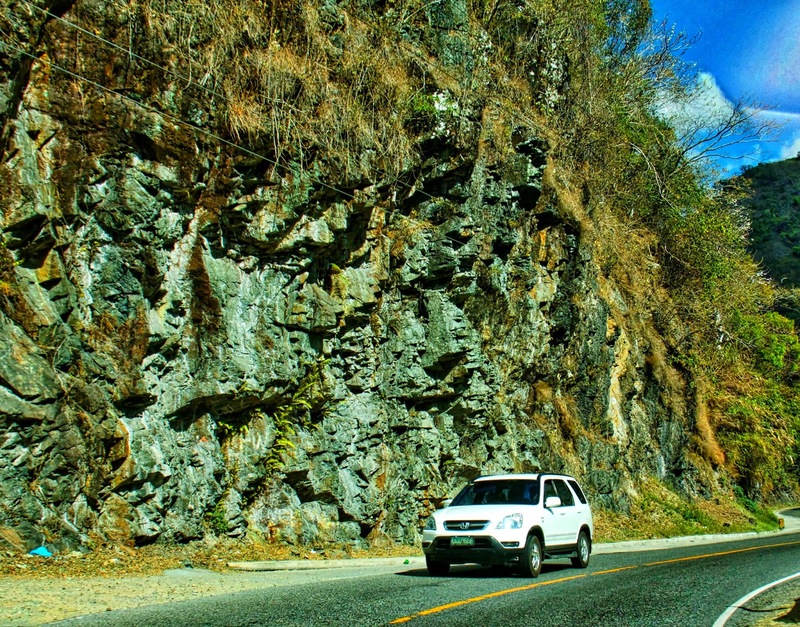 When the weather is fair - we prefer taking Kennon road. It's a shorter road compared to Marcos. Moreover - Buses and Huge Trucks are not allowed on this road. The added bonus is the fact that it's a more picturesque drive up. On the fork between Marcos and Kennon - you take the road on the right. 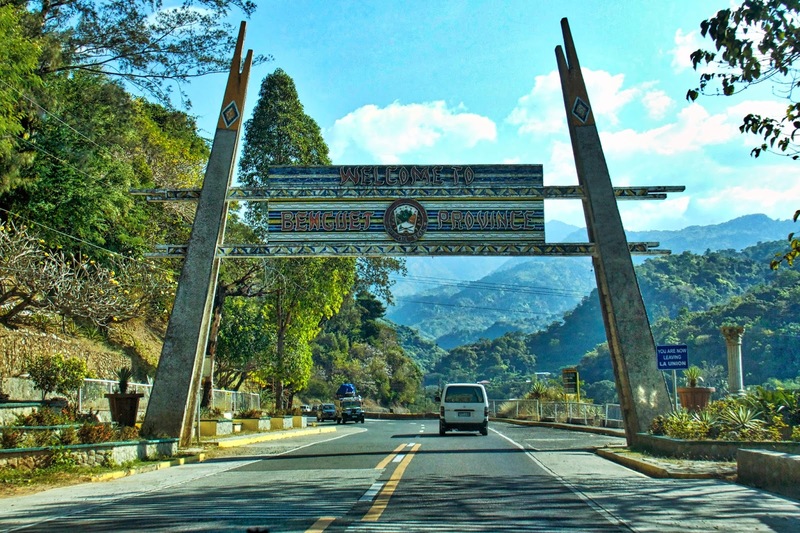 Pretty soon you will be greeted by this arch signifying you are entering the Benguet province. 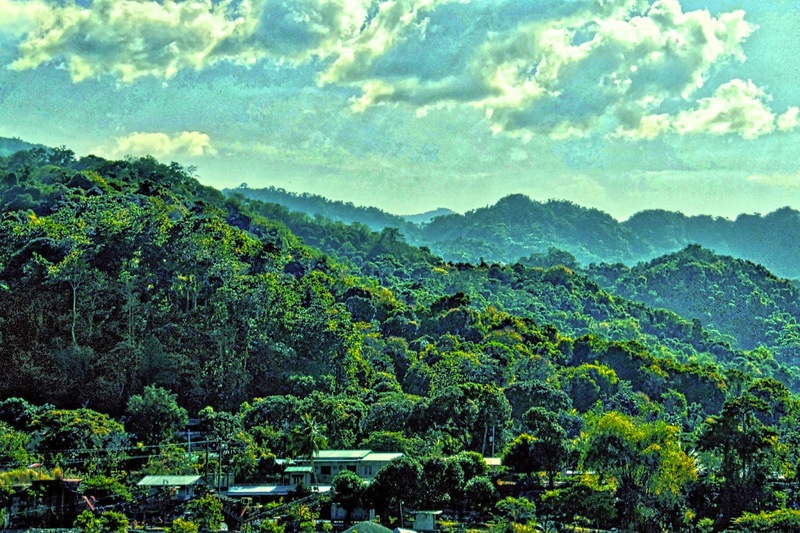 Look to your right side to see the mountains of the Cordilleras. You will see a lot of green. 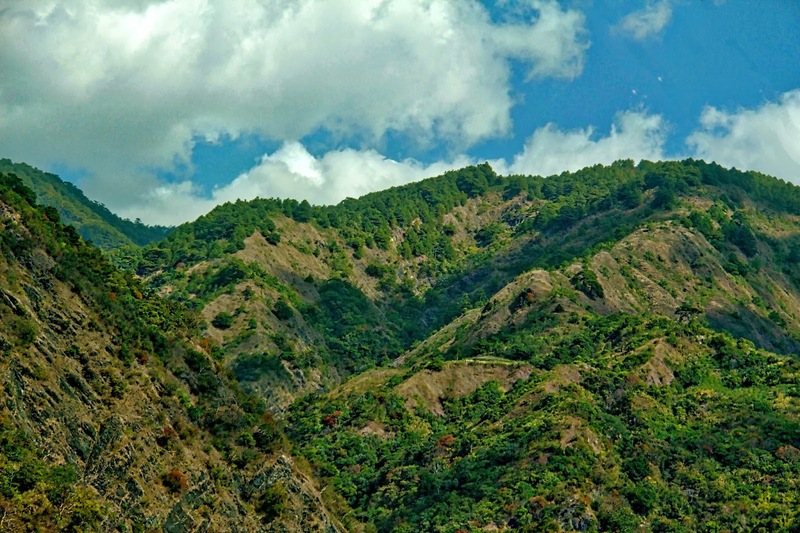 In fact one of my friends say that driving to Kennon reminds him of the scenes in Blue Lagoon. I told him - that there are portions of Kennon where I actually expect King Kong to come out from around the bend. This is a familiar sight in the Philippines. 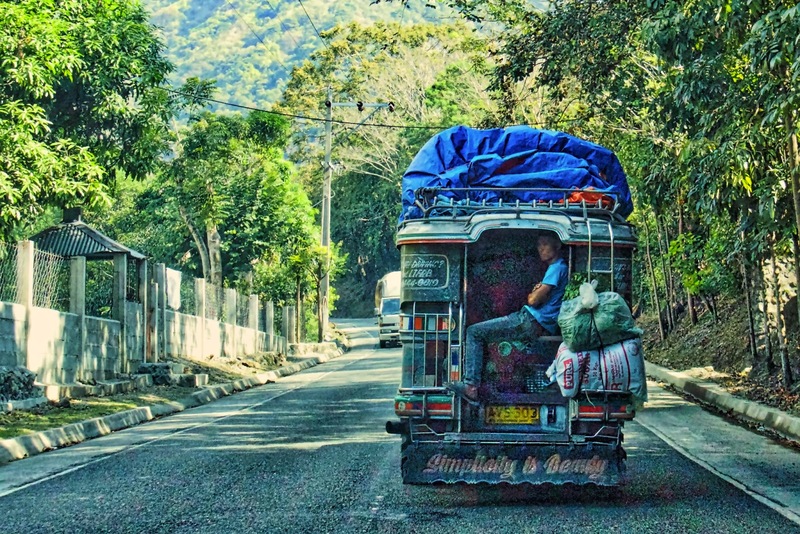 The trusted Jeepney carrying goods between provinces where it's packed to the brim. Passengers end up riding on the estribo ( hanging on for dear life ). Some parts of the mountains already have very thinning vegetation. You hear stories from locals indicating that in the past all of these were green - or sometimes yellow - which are the sunflower blooms which the city of Baguio is known for. 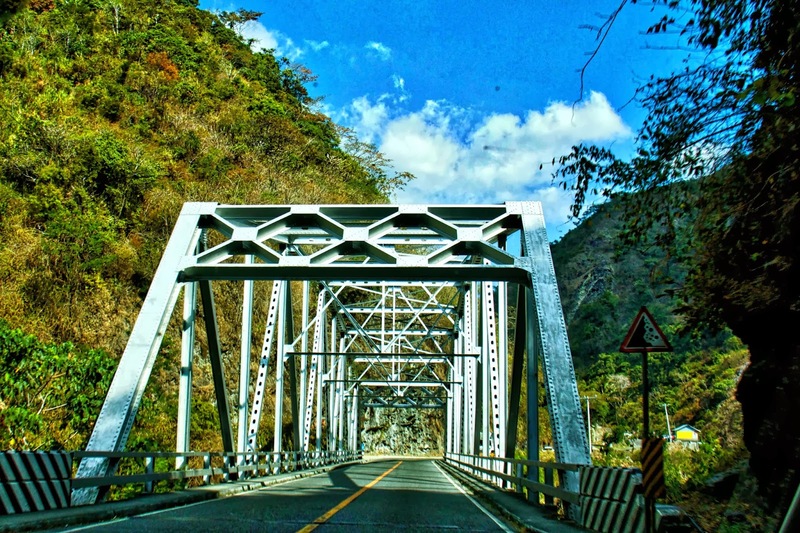 This is one of the better bridges that you will use on your way up ( or down if you're coming from Baguio ). Lots of them - and most of them were originally built by the Americans pre-WW2. 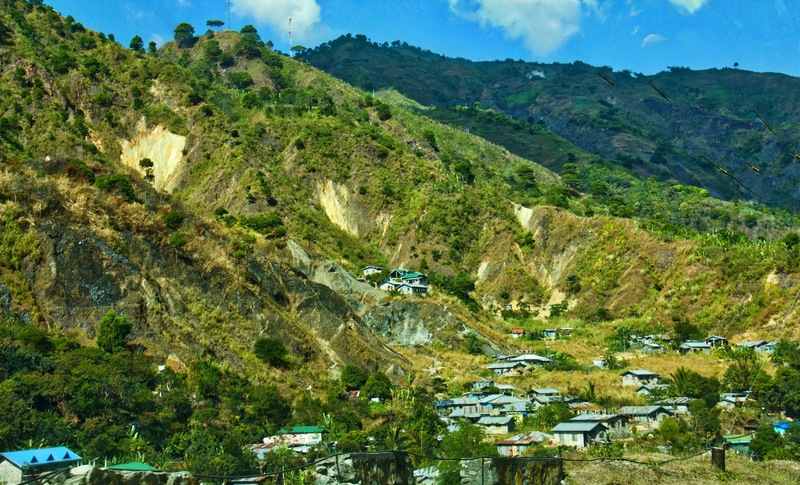 During the rainy season - we don't pass through Kennon because the waters tend to erode some rocks ( some might be small but still deadly ). It is also common to see some of these rock walls transformed into water falls. You will see some towns along the road. Some of them were actually miner towns - since there were mines ( and there still are mines ) in this region. The Spanish were actually hoping they would get gold in the Philippines - they never did. The Americans found gold in the Mountain Province. 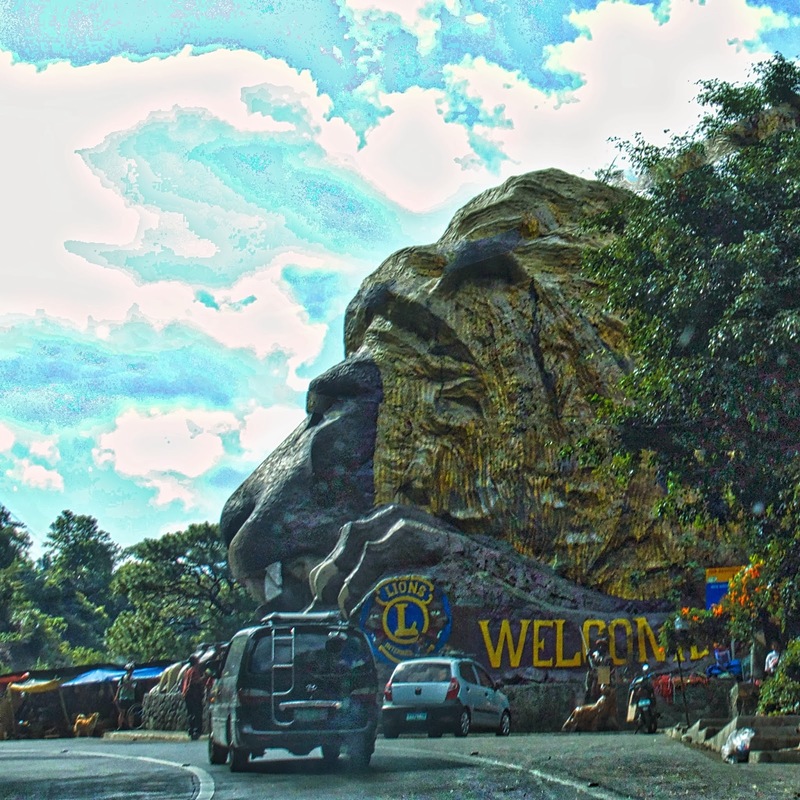 A famous landmark - the Lion's Head. When you see this - you know you are near your destination. 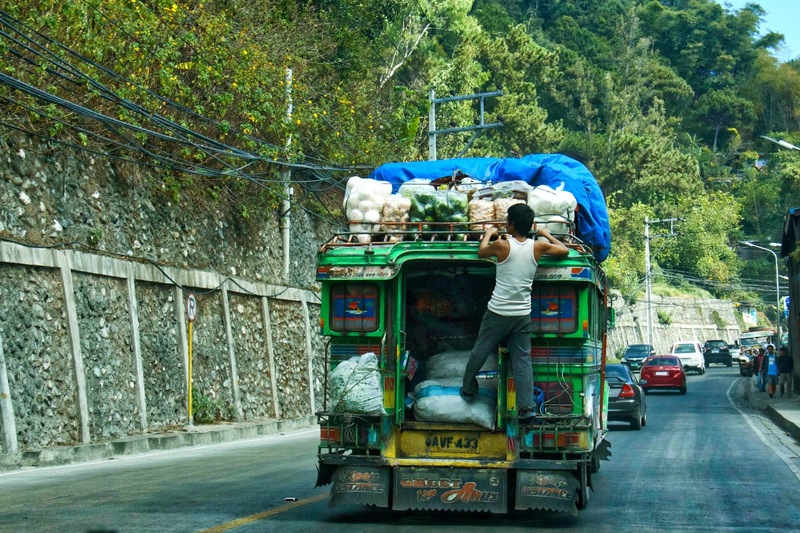 Some vegetables getting delivered to Baguio. Not all vegetables grow in Baguio. Its temperate weather is not good for tropical vegetables. When we drive up - and I look up - I feel that heaven is a lot closer.